The LCD is attached to the back casing with very strong glue. In order to fix a cracked screen we replace the entire screen assembly which includes the front glass, LCD, back casing, camera and hinges. 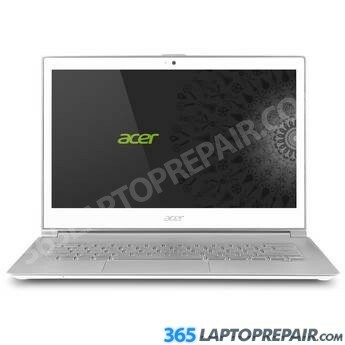 Acer Aspire S7-391-9427 comes with a 256GB SSD (Solid State Drive). Acer Aspire S7-391-9427 comes stock with 4gb. It cannot be upgraded any further because it is integrated into the board and cannot be removed. Please request an estimate for this repair.